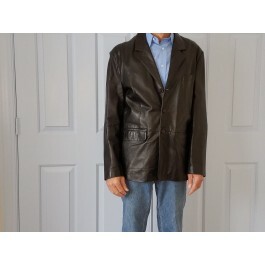 Tanney West small men's leather jacket. I am the original owner. It comes from a smoke free home. The jacket is in like new condition showing little to no signs of wear. The liner is in very good condition - no rips. Free shipping to US customers only. Contact Harry @ harry@flymall.org with your shipping instructions.